I know some of you ladies will not leave home without a tote bag. Some of you love your tote bag stylish, but with solid colors. Others like vibrant multi-colored and funky designs. Which one are you? If you're the latter then this selection of funky tote bags might just be the ones you're looking for. 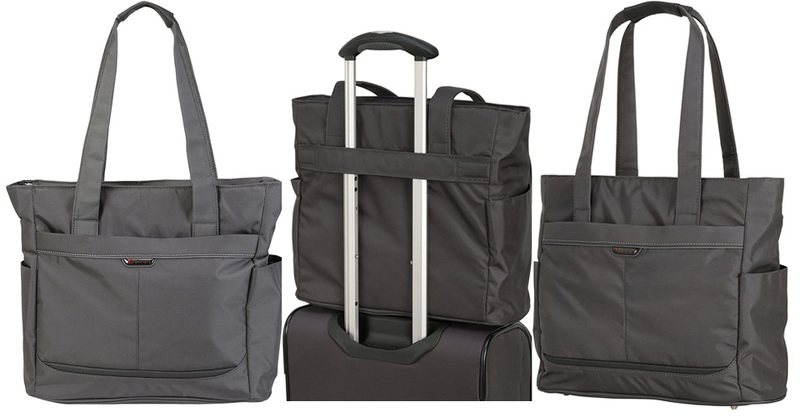 If you plan on traveling during spring or summer, a tote might be one of the best bags you can carry with you. You can securely store your essentials and valuables in your bag and retrieve them easily when you need them. Having a tote bag when you're traveling is just a good idea. What do you think ladies? If you're a cat lover then you will definitely feel passionate about this tote. It comes in several colors including black, blue, red and grey. It's made from high-density cotton canvas, is lined with cotton and has woven handles. This tote has five pockets; a zippered closure, an outer zippered pocket, one inner zippered pocket and two small pockets. This large tote comes in twenty-five different colors. The dimensions of the bag are 17"W x 11"H x 6"D (inches). It can easily carry your 14" laptop or your tablet. 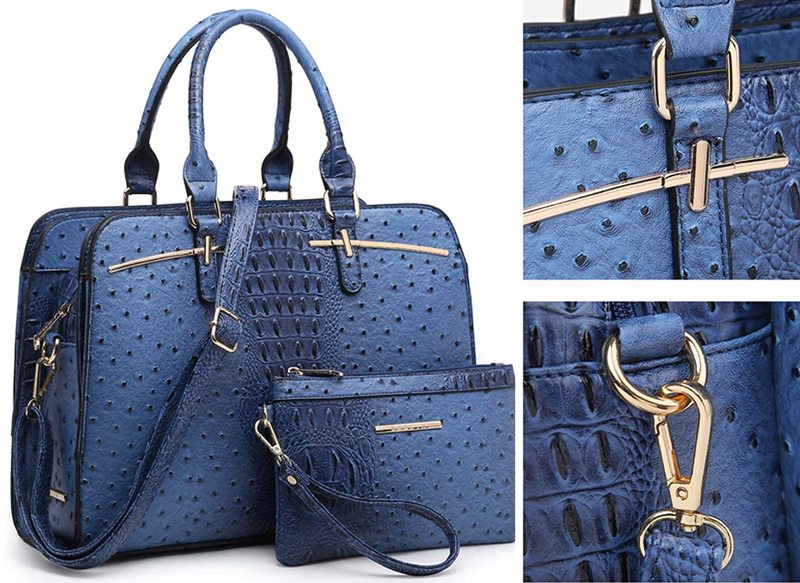 It's made with faux saffiano leather and features gold tone hardware, and four bottom studs. Check and make sure the bag is the right size you want before you get it. This tote has a lot of pockets as you can see. Is it too much for you? Funky, right! ... Lol. It has a tablet pocket, inner zipper pocket, exterior back wall zipper pocket and two front pockets. This ToLFE tote comes in fourteen different colors including army green, black, blue, coffee, grey, khaki and purple. It comes in two different sizes; medium (13.78'' L x 3.94'' W x 11.02''H) and large (14.57'' L x 6.3'' W x 12.2'' H). This tote features a trolley sleeve, which you can use to attach to the handle of your rolling luggage bag. It comes with a cooler pocket for storing food and drinks. The insulated pocket is lined with gray PEVA, which is leak resistant and easy to clean. The Fit & Fresh tote comes in three colors, which are coral paisley, gray aqua leaf drop and navy orange paisley." Not only is this tote attractive, but it's also functional. Its exterior pockets are easily accessed which makes it ideal when you're on the go. The main compartment of this tote is zippered, which provides security for you valuable essentials. It comes in two colors, which are graphite and purple paisley. Love the vibrant colors. This tote is sturdy and waterproof, which are two of its features I like. It has two external pockets and an additional internal zipped pocket where you can securely store your valuables.